The exact origins of the Italian aperitivo aren’t exactly known, but it’s believed the concept was born in Torino in 1786. It wasn’t until the ’20s that bitter drinks like the Negroni and Aperol Spritz took full flight in Milan, the aperitivo capital. Italy’s version of happy hour is a cultural expression, a celebration of life and pre-dinner warm-up all crammed into one magical sunset. 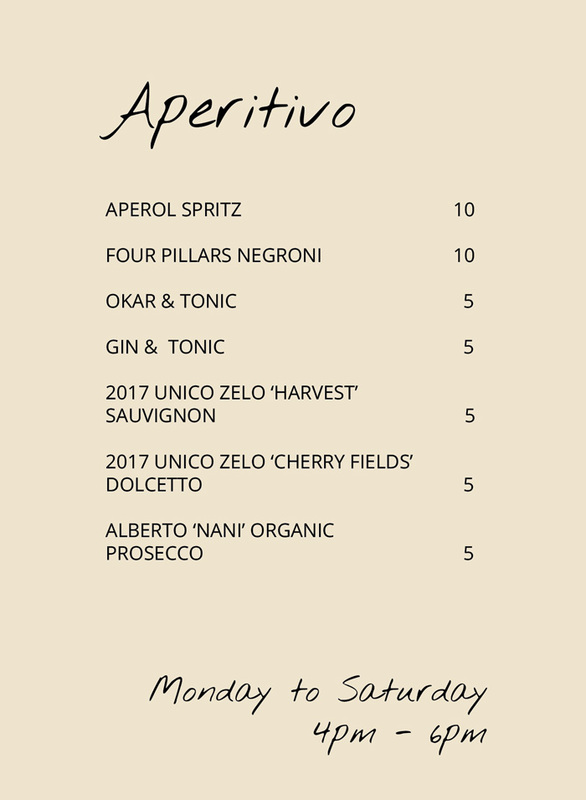 One thing’s for sure: aperitivo is about as Italian as pasta or soccer. At Bistecca, it’s just about serving great drinks in a vibrant environment to celebrate the end of the work day with diners and non-diners alike.